Among the newcomers on the Brooklyn Superbas roster for the 1903 season was right-handed pitcher Henry Schmidt. At almost 30, he was getting a rather late shot at a major-league career, but had earned a look as a 35-game winner in the California League the season before. Soon Schmidt discovered that getting out National League batsmen was a far more daunting task than dealing with minor-league hitters had been, a reality reflected by Schmidt’s ERA (3.83), WHIP (1.465), and opponents batting average (.280), figures that were high by Deadball Era standards. But Schmidt was a gutty performer, cool-headed with men on base and adept at escaping from trouble. And he was blessed with no small amount of pitching good luck in 1903. Against the odds, Schmidt emerged as the ace of fifth-place Brooklyn’s staff, finishing the season with a sterling 22-13 record. During the offseason, Schmidt stunned club brass with the announcement that he did not like living in the East and would not report the next spring. Instead, he planned to resume playing in California. Schmidt returned his contract for the 1904 season to Brooklyn headquarters unsigned, and never made another major-league appearance. As it turned out, the move proved an ill-considered one, as Schmidt’s personal and professional life nosedived soon after he returned to the West Coast. Still, his refusal to return to Brooklyn earned him a record-book distinction that survives to this day: Henry Schmidt is the sole pitcher in major-league history to be a 20-game winner in his one and only season as a big leaguer. Biographical information about our subject is sketchy. But by all accounts, Henry Martin Schmidt was born on June 26, 1873, in Brownsville, Texas, a Mexican border town and military outpost. He was the second of four sons born to career soldier Martin Christian Schmidt (1837-1884) and his wife, the former Elizabeth Catherine Avery (1851-1934). The elder Schmidt was born in the German duchy of Hesse, brought to America as an infant by his parents, and raised in upstate New York. After a stab at farming, he joined the Army in 1858 and saw action throughout the South during the Civil War. Sometime thereafter, he married Lizzie Avery, a Georgia teenager, and started a family. Eldest son Merritt (1871-1946) was born when Martin was garrisoned in Mississippi. Two years later, our subject was born while his father was posted in Texas. Younger offspring Frederick (1876-1939) and Oscar (1884-1947) arrived in Corinth, Mississippi, where Martin served as superintendent of the Union Army cemetery established there. Martin Schmidt died of heart disease in 1884. Shortly thereafter, widow Schmidt relocated her family to Nashville, where the first-discovered traces of Henry’s involvement in the game appear. As later reported in the Nashville Banner, a youthful Schmidt “chased the horsehide in Sulphur Spring Bottom along with Noodles Hahn, Newt Fisher, Charley Watkins and [other Nashvillians] who have gained fame on the diamond.”1 By 1893 Schmidt had entered the professional ranks, playing in the independent minor Blue Grass League.2 Small in stature – modern baseball reference works list Schmidt as 5-feet-11, 170 pounds, but period photographs and other contemporaneous evidence suggest that he was actually about 5-feet-7, 145 pounds, tops3 – but athletic, Henry played around the diamond but mostly focused on pitching. Baseball-Reference lists Schmidt as a member of the 1895 Evansville (Indiana) Blackbirds of the Class B Southern League, but no stats are provided.4 The following season, Southern League newspapers took frequent notice of the pitching of “Kid” Schmidt, staff stalwart of the circuit’s Mobile (Alabama) Blackbirds.5 Pitching for a less than mediocre (39-56) club, he went 12-18, with a 1.93 ERA in 275⅓ innings pitched. He struck out 116 while permitting 143 enemy batsmen to take base via a walk or hit-by-pitch, an augur of the control problems that would plague Schmidt’s career. He also batted a respectable .288 in 208 at-bats for Mobile. More important in personal terms, Henry made the acquaintance of 20-year-old Mobile native Faustina Gale. The following year, they were married in the city cathedral, and their only child, son Henry Gale Schmidt, was born in Nashville in October 1898. Schmidt thrived in the Mile High City, posting a 13-6 (.684) record that helped propel 61-44 (.581) Denver to a first-place finish in WL standings. In the process, he exhibited improved control, recording more strikeouts (55) than walks (44) for the first time in his professional career. While in Denver, however, Schmidt also demonstrated a proclivity for acting violently during confrontations with others. The setting for his first-discovered set-to was a lateAugust game in Sioux City, where “Schmidt’s good work exasperated the local fans and they were imbued with a desire for revenge when umpire Buck Ebright made a decision that did not please them” and stormed the field.14 Among the players coming to Ebright’s defense was pitcher Schmidt, who weighed into the mob brandishing a bat. In no time, the little hurler had sent three fans sprawling, one of whom, a teenager named Chapman, was rendered unconscious with a feared fractured skull.15 Given the circumstances, Schmidt’s bat-wielding could be excused as necessary for the defense of an innocent third party, namely umpire Ebright. But Schmidt would have no such justification for the ugly incidents that lay in his future. As it turned out, the maneuvers accrued to neither Tebeau nor Schmidt’s benefit. The pitcher began the season with Kansas City but was released when his work proved unsatisfactory to Tebeau. 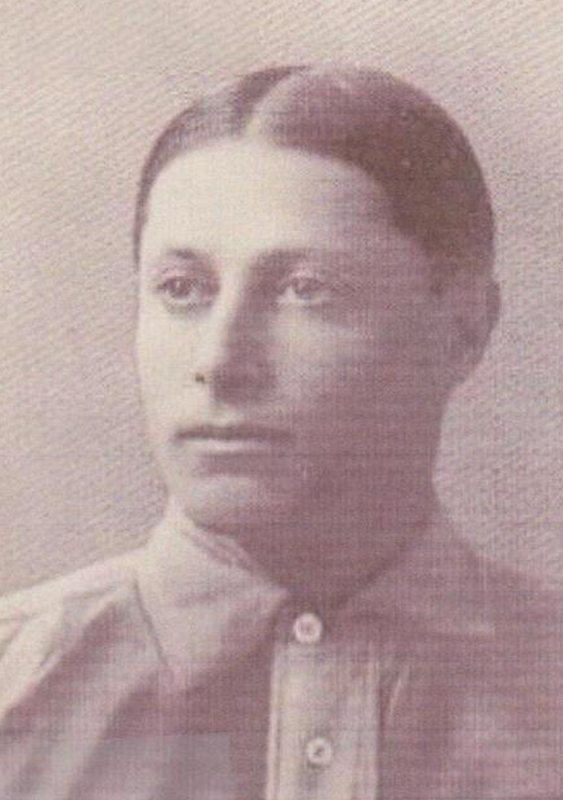 In early May Schmidt was re-signed by Denver, new club owner Packard’s previous disavowal of interest in the pitcher notwithstanding.18 Early on, Schmidt was neglected, at times not even accompanying Denver on road trips.19 But he finished the season strong, posting shutout wins over Omaha and Colorado Springs twice as the Western League season came to a close.20 Reserved by Denver for the 1902 season,21 Schmidt thereupon embarked for the West Coast to do some hurling in the long-season California League. Once there, his career skyrocketed. Having made a good impression with excellent late-season work for the Oakland Commuters and then in postseason all-star competition, Schmidt decided that he had found a home. He disregarded his reservation by Denver and signed with Oakland for the 1902 season.22 But Schmidt’s status was unsettled, as reports from Denver announced his signing with the Grizzlies.23 Oakland club owner J. Cal Ewing then forestalled any Schmidt departure from California by obtaining an injunction that prohibited it, while the San Francisco Chronicle denounced Schmidt for “playing fast and loose” with the two clubs.24 In the end, Denver club boss Packard, never much of a Schmidt fan to begin with, wired the wayward pitcher “to do as he pleased.”25 Nevertheless, Denver placed “Henry Schmidt of Mobile, Alabama” on the ineligible list.26 But with the California League an independent circuit not bound by the strictures of the National Agreement, the blacklisting had no practical effect. Schmidt proved more than worth the bother for Oakland. At age 28, he unexpectedly blossomed into the best pitcher on the West Coast. His 35 victories were second only to the 36 amassed by Los Angeles’ Oscar Jones, and Schmidt’s .636 winning percentage was tops among California League hurlers. Behind the yeoman service of their undersized pitching ace, Oakland went 108-74 and captured the title of the four-team league. By the time the pennant was clinched, Schmidt had been a hot property for months, with his most ardent suitor being Connie Mack, field leader of the Philadelphia A’s of the two-year-old major American League. But reports that Mack and Oakland had reached agreement on Schmidt’s sale to Philadelphia27 proved unfounded, and Schmidt remained with the California League club until the season’s completion. Several days later Mathewson beat Schmidt in a rematch, 2-1. But again, observers were impressed with the Superbas rookie. Respected Brooklyn sportswriter John B. Foster declared that “pitcher Schmidt appears to be a find. He isn’t a large chap, [but] he uses a good cross-fire, a plentiful supply of curves, and isn’t afraid to let his gray matter work now and then. There will be days when he is laced all over the lot … [but] he can keep the other side guessing with a good change of pace [and] he has plenty of nerve, too.”29 Schmidt’s next three outings produced whitewash wins over Philadelphia (8-0), Boston (2-0), and Philadelphia again (5-0), and established him as the stopper of manager Ned Hanlon’s pitching staff. His performance leveled off in midseason, but ended with a flourish: Brooklyn was unbeaten in Schmidt’s last ten starts. Pitching for a fifth-place (70-66, .515) Superbas club, Schmidt turned in a 22-13 log, leading the staff in wins and shutouts (5). Interestingly, Schmidt’s excellent bottom line was achieved despite unimpressive secondary stats. As earlier predicted by sportswriter Foster, there were days when Schmidt was pounded, and his 3.83 ERA and 1.465 WHIP were well above National League norms. Schmidt also yielded considerably more baserunners via walks (120) and hitbatsmen (21) than enemy hitters he struck out (96). But Schmidt was invariably gritty, a tough little competitor who pitched bravely in tight spots, and he won more than his share of high-scoring games. That fall, the Brooklyn front office mailed Schmidt a contract for the 1904 season, one likely containing a healthy salary increase over his $2,700 rookie wage. The club was therefore stunned when Schmidt returned the contract unsigned, tersely informing management that “I do not like living in the East and will not report.”30 Instead, Schmidt collected his family and went back to the West Coast, signing a three-year contract with the Oakland Oaks of the new Class A Pacific Coast League.31 But no resumption of local glory awaited Schmidt. His pitching performance was no better than mediocre, and his personal life would soon begin a downward spiral. In 1904 Schmidt turned in a substandard 26-28 (.481) record for the fourth-place 116-109 (.516) Oaks, with the grueling length of the PCL season exerting a toll on Schmidt’s now-31-year-old pitching wing. And the temperament of the pitcher, previously so genial that the local press was given to calling him “Smilin’ Harry,” had begun to sour. In July 1905 “he and Hogan, a bush-league pitcher, got into a fight in Seattle, and Schmidt nearly bit two of Hogan’s fingers off.”32 This imbroglio earned Schmidt a $100 fine and an indefinite suspension. He was laid off for nearly a month, and did not pitch well upon returning.”33 But Schmidt’s real fall from grace did not occur until late in the 1905 season. And for perhaps the only time in his life, he was not the party principally at fault. Although “only about half the size of the burly president,”36 Schmidt demanded, and Mrs. Schmidt received, a Hawbacker apology for his language as soon as the game was over.37 But otherwise, the club president refused to back down. “In an effort to justify his language and demeanor, [Hawbacker] openly accused Schmidt, who is believed to be one of the squarest men in the game on this coast today, of deliberately attempting to toss the contest in the interest of a coterie of gamblers who had plunged heavily on the play.”38 The following day, Hawbacker made good on his promise to release Schmidt, but within days, it was the jettisoned pitcher who took the offensive. In a widely-published letter to PCL president Eugene F. Bert, Schmidt demanded an immediate league investigation of Hawbacker’s charge against him.39 He also threatened to file a defamation lawsuit against his accuser.40 Meanwhile, Oaks teammates, Seattle players, game umpire Ira Davis, and numerous Pacific Coast League fans all publicly voiced confidence in Schmidt’s integrity.41 Simultaneously, the West Coast baseball press harshly denounced Hawbacker, with the Tacoma News predicting his ouster from the game if he failed to substantiate his game-throwing charge against the pitcher. With sentiment strongly arrayed against him, Hawbacker backtracked, indignantly denying that he had cast any aspersion upon Schmidt’s character. Rather, Schmidt’s release was strictly the result of “the twirler’s poor work,” and that, said Hawbacker, “covers the whole matter.”42However weak Hawbacker’s defense, it afforded PCL President Bert the excuse needed to drag out his inquiries. While the probe dawdled, Schmidt did some pitching for a Stockton (California) semipro club.43 He also reportedly received a feeler from Brooklyn manager Hanlon, asking Schmidt to convey “his terms.”44 In the end, the league investigation came to nothing, and Schmidt later signed with another PCL club, the Fresno Raisin Eaters. But before the new season started, Schmidt suffered a tragic personal loss. On January 27, 1906, his wife, Faustina, died at age 29.45 And soon thereafter, the life of Henry Schmidt entered free fall. Once again the following season, there was a low-level minor-league club willing to employ Schmidt. In 15 games for the Hutchinson (Kansas) Salt Packers of the Class D Kansas State League, he went a respectable 7-4 in 15 games, but was sent packing in August. The last discovered press mention of Schmidt was published in Sporting Life, August 14, 1909: “Heinie Schmidt, the Hutchinson cast-off pitcher, has been signed by the Beloit club” of the Class D Central Kansas League. With that, Schmidt’s name disappeared from newspaper sports pages (and, hopefully, from police blotters, as well), his life thereafter receding into the anonymity of private citizenry. From US Census data and other public records, Schmidt’s whereabouts for the remainder of his life are reasonably certain. By 1910 he was living with his mother and son Henry in Nashville and employed as a railroad company messenger. In 1915 he married Margaret Holloway (née Turpin), a 35-year-old widow with two children of her own. The birth of sons Ned Hanlon Schmidt (1915) and William Francis Schmidt (1919) completed the couple’s blended family. Henry Martin Schmidt was working as a pipefitter when he died at home from complications of chronic myocarditis on April 23, 1926.59 He was 52. His remains were interred in Spring Hill Cemetery, Nashville. Sources for the biographical detail provided herein include material contained in the Henry Schmidt file at the Giamatti Research Center, National Baseball Hall of Fame and Museum, Cooperstown, New York; US Census, city directory, and Schmidt family post data accessed via Ancestry.com; and various of the newspaper articles cited below. Unless otherwise noted, stats have been taken from Baseball-Reference. The writer is indebted to Len Levin, Al Quimby, and Warren Corbett for their careful review and correction of the original draft of this bio. 1 Undated Nashville Banner item reprinted in the New Orleans Times-Picayune, July 2, 1906. Those local Nashville players would also have included younger brother Fred Schmidt. Fred and much younger brother Oscar Schmidt later became professional ballplayers. 2As per the Wilkes-Barre (Pennsylvania) Times, April 27, 1900. 3Review of the reportage of Schmidt’s playing career failed to uncover any specific height/weight statistics for him. Given that, the source for the 5-foot-11, 170 pounds listed for Schmidt by modern baseball reference works is likely the player questionnaire completed around 1982 by his niece Alice Schmidt Duncan. But careful examination of that document by Al Quimby, this bio’s fact-checker and the SABR genealogist who supplied the questionnaire to Mrs. Duncan all those years ago, suggests that her handwritten answers regarding Schmidt’s size have been misread. Moreover, the notion that Schmidt was anything like 5-feet-11, 170 pounds (or larger than the average turn-of-the-century American male) is belied by news articles published during Schmidt’s playing career. Same often described him as a small man. See, e.g., Sporting Life, April 11, 1903: “Schmidt, the sturdy little Teuton from the coast”; Sporting Life, April 25, 1903: “He’s not such a large chap”; and The Sporting News, June 13, 1903: “Pretzel Schmidt, a little runt of a twirler.” In the writer’s estimation, the clincher is supplied by team photos that show Schmidt noticeably smaller than his teammates. Indeed, he is a full head shorter than those positioned around him in the back row of the team photo of the Mobile Sea Gulls published in the New Orleans Times-Picayune, September 2, 1906. The only way that the Henry Schmidt depicted therein could have been 5-feet-11 is if the photo was taken while Schmidt was standing in a hole. 4 Perhaps surprisingly, no mention of Schmidt was found in the baseball-conscious Evansville Courier during 1895. 5 See, e.g., the Charlotte Observer, April 22, 1896, New Orleans Times-Picayune, April 23, 1896, and Columbus (Georgia) Enquirer and The (Columbia, South Carolina) State, May 21, 1896. 6According to Sporting Life, May 29, 1897. 7Siegel, Sporting Life, October 9, 1897. 8 As per final Atlantic League statistics published in the Philadelphia Inquirer, November 21, 1898. The newspaper did not publish league pitching stats. Baseball-Reference has no 1898 numbers for Schmidt. 9 According to Sporting Life, August 8, 1899, Lancaster club directors paid off player salaries in full before the franchise was dissolved. 10 On page 73, however, the Guide does take note of a two-hit shutout thrown by Schmidt in Kansas City livery, while a three-hit victory over the Buffalo Bisons was written up in the Kansas City Star, August 28, 1899. Baseball-Reference provides no data for Schmidt’s stay with Kansas City. 11As per Kansas City correspondent Edward Kundergraber, Sporting Life, April 28, 1900. At the turn of the century, “being out of condition” was often sportswriter code for a drinking problem. 12 As reported in the Wilkes-Barre Times, April 27, 1900. 13 As reported in the Wilkes-Barre Times, June 18, 1900, and Sporting Life, June 23 and July 14, 1900. 14As per the (Denver) Rocky Mountain News, August 27, 1900, and Birmingham (Alabama) Age-Herald, August 28, 1900. 15 As reported by the Denver Post, August 27, 1900, and Sporting Life, September 12, 1900. 16As per Sporting Life, September 5, 1900. 17 Accommodating his friend Tebeau, Hart effectively preempted any Denver reverter-type claim upon Schmidt by selling the pitcher’s rights to the Kansas City club. See Sporting Life, January 19 and February 23, 1901. 18 See the Denver Post, May 1, 1901. Then, Packard had stated that he had “no intention of securing Schmidt’s services … that Schmidt’s arm was in no condition, and that he was of no value to any team,” as per the Denver Post, May 6, 1901. 19 The treatment of Schmidt was the subject of some pointed criticism of club boss Packard by Denver Post sports editor Otto C. Floto. See the Denver Post, May 15 and 18, 1901. 20 Baseball-Reference provides no data for Schmidt’s 1901 season. 21As per Sporting Life, September 24, 1901. 22 As reported in the San Francisco Chronicle, February 8, 1902. 23 See the Rocky Mountain News, February 22, 1902, and Denver Post, February 25, 1902. 24San Francisco Chronicle, April 18, 1902. 25As per the Denver Post, April 22, 1902. Packard coupled his seeming release of the Denver club’s hold upon Schmidt with the suggestion that the pitcher “glance over the Lajoie decision” (in which a Pennsylvania state court had recently upheld the validity of baseball’s reserve clause). 26 As reported in Sporting Life, May 10, 1902. During the offseason, Schmidt lived and worked (as a finisher for a trunk manufacturing company) in Mobile, his wife’s hometown. 27See, e.g., Sporting Life, August 30, 1902. 28New York Times, April 18, 1903. 29Sporting Life, April 25, 1903. 30 As recounted decades later in The Sporting News, April 3, 1965. See also, Mathias Koster, “Henry Schmidt’s West Coast Bias,” mopupduty.com, posted July 19, 2011. 31 As reported in the San Francisco Chronicle, November 25, 1903, and Cleveland Plain Dealer and Saginaw (Michigan) News, December 16, 1903. 32 As per Sporting Life, July 29, 1905, and Seattle Times, October 16, 1905. A $25 fine was levied on Hogan. 33Seattle Times, October 16, 1905. 34According to the Tacoma News, October 28, 1905. 35 See the Tacoma News, October 18, 1905. 36Tacoma News, October 28, 1905. 37 See the Tacoma News, October 28 and November 4, 1905. 38Tacoma News, October 28, 1905. 39 As reported in the San Francisco Chronicle, October 21, 1905, Seattle Times, October 22, 1905, and Sporting Life, November 4, 1905. 40 As reported in the Tacoma News, October 18, 1905, and Sporting Life, November 18, 1905. 41 As reflected in the reportage of the San Francisco Chronicle, October 21, 1905, Seattle Times, October 22 and 24, 1905, and Tacoma News and Sporting Life, November 4, 1905. 42 As reported in Sporting Life, November 11, 1905. See also, the San Jose Evening Times, February 1, 1906, and Seattle Times, February 4, 1906. At the time of his release, Schmidt (18-17) was the only Oakland pitcher with a winning record. 43As per the Tacoma News, November 11, 1905. 44According to the San Francisco Chronicle, December 5, 1905. 45 The cause of death for Faustina Gale Schmidt was undiscovered by the writer. Her remains were interred in an Oakland cemetery. 46 As reported in the San Francisco Chronicle, June 16, 1906, and (Portland) Oregonian and Seattle Times, June 17, 1906. Schmidt was bound over on an assault charge by Judge Smith pending the filing of a formal complaint, but the ultimate outcome of the proceedings is unknown. 47 As per Sporting Life, January 9, 1907, which did not publish any pitching stats for Schmidt. Baseball-Reference provides no 1906 data for Schmidt once he left the Pacific Coast League. 48 As per final Cotton League stats published in Sporting Life, October 2, 1906. A Mobile team photo showing teammates standing a good head-taller than Schmidt was published in the New Orleans Times-Picayune, September 2, 1906. 49As per Sporting Life, October 6, 1906. 50The State, June 27, 1907. 51The State, July 3, 1907. 52 Schmidt’s signing with Montgomery was noted in Sporting Life, August 10, 1907. Schmidt went 8-6 in 14 games pitching for Anderson (Sporting Life, October 12, 1907), but no stats were discovered for his time with Nashville and Montgomery. Baseball-Reference has no listings or data for Schmidt in 1907. 53 As reported in the Tucson (Arizona) Citizen, November 29, 1907, and Sporting Life, February 22, 1908. The actor, meanwhile, had run off unharmed. 54 As per Sporting Life, February 22, 1908, and the 1908 Reach Guide, 426. 55 As reported in the Greensboro (North Carolina) Record, April 8, 1908. 56According to the Charlotte Observer, July 31, 1908. 58 As reported in the Greensboro Record, August 17, 1908. 59 As noted in Schmidt’s death certificate.